Location. 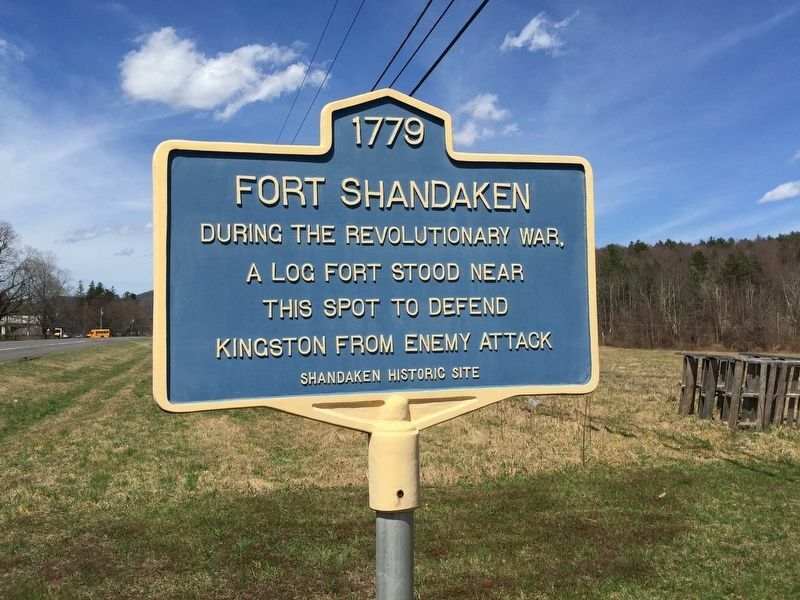 42° 1.987′ N, 74° 16.511′ W. Marker is in Shandaken, New York, in Ulster County. Marker is on New York State Route 28, on the right when traveling north. Touch for map. 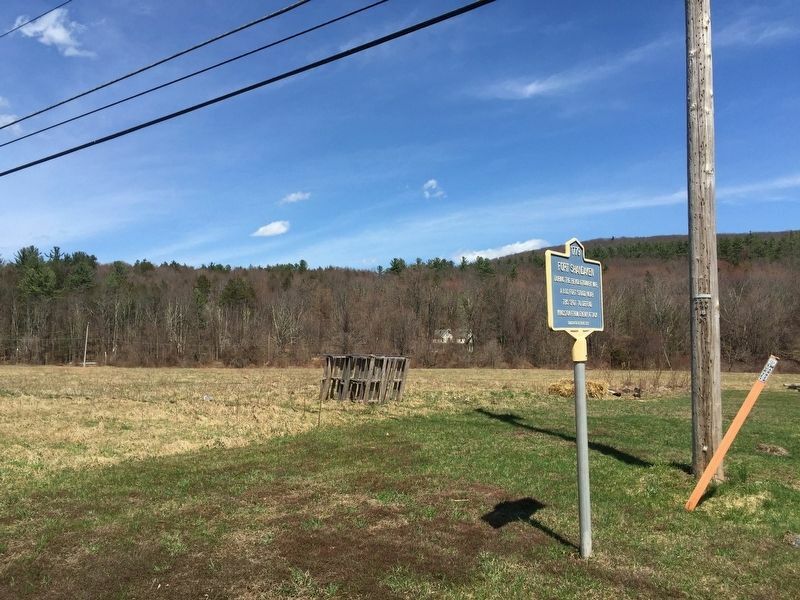 Marker is at or near this postal address: 5200 NY-28, Shandaken NY 12480, United States of America. Touch for directions. Other nearby markers. At least 8 other markers are within 10 miles of this marker, measured as the crow flies. Catskill Mountains - Shandaken Area (approx. 1.6 miles away); Mount Tremper Fire Tower (approx. 4 miles away); Shokan Reformed (approx. 5 miles away); Old School Baptist Meeting House (approx. 5.2 miles away); Catskill Water Supply System (approx. 7.2 miles away); Olivebridge (approx. 7.7 miles away); To Honor (approx. 7.7 miles away); One Hundredth Anniversary (approx. 9.2 miles away). Touch for a list and map of all markers in Shandaken. More. Search the internet for Fort Shandaken. Credits. This page was last revised on April 16, 2019. This page originally submitted on April 14, 2019, by Steve Stoessel of Niskayuna, New York. This page has been viewed 40 times since then. Photos: 1, 2. submitted on April 14, 2019, by Steve Stoessel of Niskayuna, New York. • Andrew Ruppenstein was the editor who published this page.